Pictured: Cr. Cass Coleman, Mayor Marianne Saliba, Cr. Julie Griffith and Allyson Bradford. Lithgow had a voice at the table of the NSW Australia Local Government Women’s Association (ALGWA) meeting in Sydney last Saturday 29 September 2018. Councillor Cass Coleman spoke at the event, putting global equality for women at the forefront. Association President Marianne Saliba who is also the Mayor of Shellharbour City Council, highlighted ALGWA’s stand on the recent bullying in parliament. “The accounts of other politicians bullying female parliamentary members in both State and Federal Government is unacceptable and more work needs to be done to raise awareness in this field,” said Councillor Saliba. ALGWA has worked in partnership with the NSW Office of Local Government and helped in establishing the current Code of Conduct for all councillors across the state. 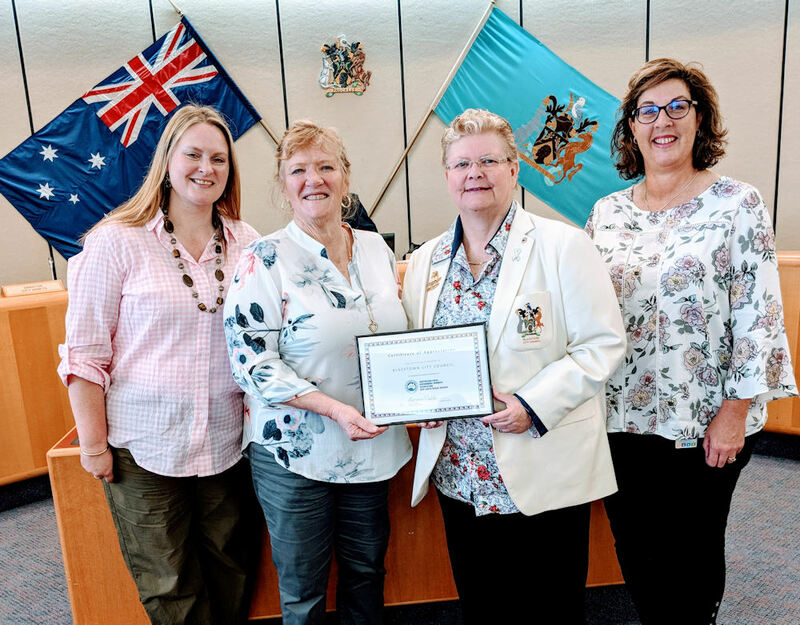 Blacktown City Councillor Julie Griffith encouraged other councils to follow their Western-Sydney council for its dedication to women’s issues.